BRISTOL -- The Greek crisis has been one of the most analyzed political events of recent years, and yet one aspect of the drama has been under-discussed. This lacuna was most evident when the result of the referendum came in and several political leaders hailed it. "It's fantastic to see the courage of the Greek people," said one. Another called it "a victory of the people against the oligarchy of the European Union." A third hailed "a very important day for Greece but also for Europe," saying "we saw the Greek people, who did not give in to fear, who proved that it cannot be blackmailed, it cannot be threatened." These are sentiments many progressive democrats shared. But it should give us pause to note that these three celebratory pronouncements came from the lips of Nigel Farage, Marine Le Pen and Panos Kammenos, the leaders of UKIP, the Front National and far-right coalition partner of Syriza, the Independent Greeks, respectively. Of course, the fact that many people we'd rather avoid supported the "no" vote is not in any way an argument that "yes" was the better choice. Guilt by association is by itself nothing more than a cheap rhetorical slander, like condemning vegetarians because Hitler was at least for a while among their number. "The friend of my enemy is my enemy" is a logic of the school playground. Democracy is about the negotiation of competing interests, the balancing of different values. Populism, in contrast, is a kind of mob rule. Nonetheless, when people do keep unsavory company and get support from nefarious sources, we ought at least to ask what is really going on. And in this case, the answer is clear. 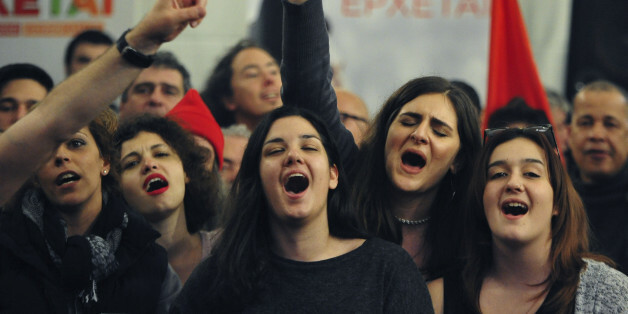 Syriza membes are not fascists, and Tsipras is not Farage. But Syriza is a populist party, and in that respect, it has much more in common with the likes of the Front National and even Golden Dawn than it is comfortable having its sympathizers admit. Populism is a difficult word, not least because almost uniquely in the U.S., it has a mostly positive meaning. Elsewhere, populism is more a term of abuse. The core of populism is, in the words of Tim Bale, a distinction "between 'the people' -- long-suffering, sensible, salt of the earth -- and the political (and sometimes financial) class -- a self-obsessed, self-interested, nest-feathering elite which will sell them down the river every time." In this dichotomy, the will of the people is taken as clear, right and given. As Catherine Fieschi puts it, there is "a conviction that ordinary people in their common sense and emotionally direct relationship to politics have all the answers." The likes of Farage and Le Pen have reveled in the Greek crisis because it is the biggest populist uprising in Europe of recent decades. 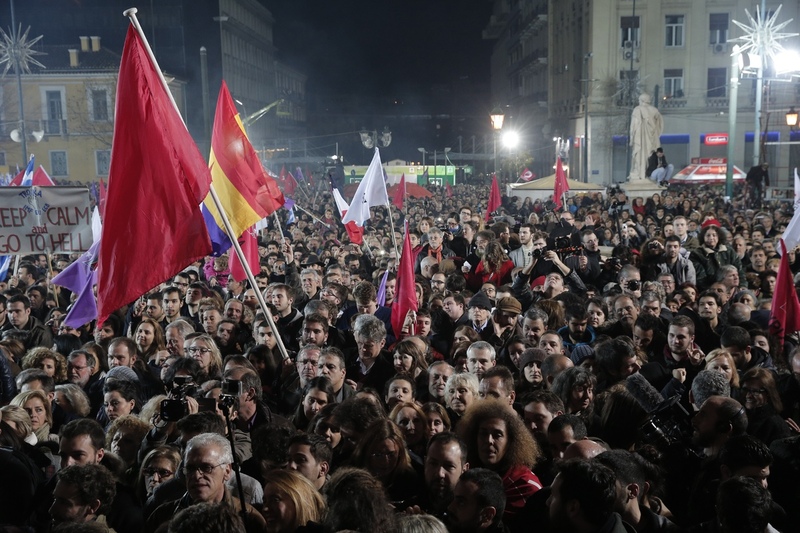 Syriza's rise to power and defiance of the E.U. show that populism is a potent force in Europe. Since the 1980s, the populists have had periodic surges of support but with the exception of Switzerland, none managed to sustain more than around 15 percent of the vote, and few entered government and exercised any real power. But now the formbook has been ripped up, and all bets for the future are off. No one should take comfort from the fact that Syriza is floundering because the main beneficiary of its demise would be the much more extreme Golden Dawn. Where there is complexity, populism offers simple solutions. This should frighten us. Populism appeals to the "will of people" but is actually profoundly undemocratic. Democracy is about the negotiation of competing interests, the balancing of different values. Populism, in contrast, is a kind of mob rule. Where there is complexity, it offers simple solutions. Instead of seeking common ground, it looks to exaggerate the differences between them and us. The unquestioned righteousness of its own cause and means to its ends leads to the demonization of those it opposes. The right has never had a monopoly on populism. The left had Chavez in Venezuela, and there is no doubt that Syriza is another. Tsipiras's pre-referendum rhetoric was classic populism, with its denunciation of the troika as "terrorists" and appeal to "destiny" and "the will of the people." Pernicious though populism is, the blame for its rise lies squarely with the political mainstream which it so effectively sets itself against. There have been no shortages of warnings about the rise of populism from think tanks and political commentators. Counterpoint produced a whole series of reports from across Europe (one of which I wrote) while Policy Network has been reading "the populist signal" for several years. Populism is on the rise because the political mainstream disconnected itself from the worries and concerns of ordinary people. The diagnosis is clear enough. Populism is on the rise because the political mainstream disconnected from the worries and concerns of ordinary people -- in particular traditional, settled working classes. Populists offered them a voice that they felt had been denied them. The mainstream was able to be presented as a disconnected elite because that is precisely how it behaved. In short, populism became credible because it had a good point. The challenge for the mainstream to counter the populists is immense. The temptation is to play their game, trying to outbid them with simplifications and unrealistic promises. That is a sure-fire way to lose. The only sustainable strategy is to rebuild trust brick by brick, demonstrating the seriousness and integrity that populists lack. The problem is that, at the moment, that seriousness and integrity is just what is lacking from a political generation in thrall to image management.